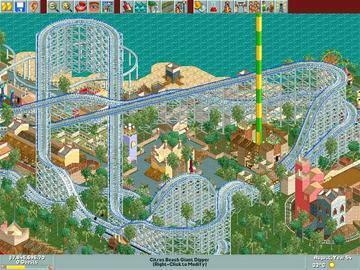 Roller Coaster Tycoon Loopy Landscape pack Start building even bigger roller coasters! Start building even bigger roller coasters! 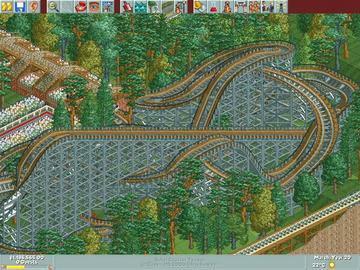 Stretch your roller coaster imagination with the Loopy Landscape Expansion Pack! From rocket ships and old castles, to winter wonderlands and other unique environments, you now have even more options to create your next thrill-a-minute masterpiece. Enjoy six new themes, build on new landscapes, provide more shops and stalls, or take on one of 30 challenging scenarios. 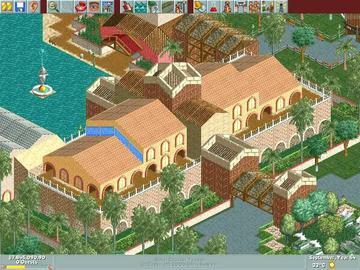 The Loopy Landscapes Expansion Pack also includes the must-have follow-up to RollerCoaster Tycoon, the Corkscrew Follies Expansion Pack, including 30 preset scenarios, breath-taking ride enhancements, and custom details. By Atari. This expansion pack only works with our downloadable version of RollerCoaster Tycoon. It will not work with CD-ROM versions of the game.